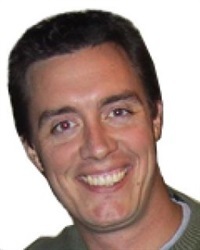 Daniel J. Moran, Ph.D., BCBA-D, is the past-president of the Association for Contextual Behavioral Science (ACBS), the international ACT organization with over 8,000 members worldwide. 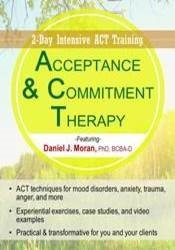 He co-authored the first case conceptualization manual for Acceptance and Commitment Therapy entitled ACT in Practice (New Harbinger), and served on the first ACT training committee. 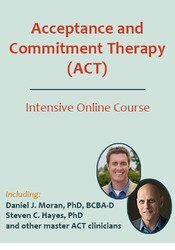 As a recognized ACT Trainer in the ACBS community, Dr. Moran has an engaging training style that has led him to be an invited keynote speaker for many events in the last decade. 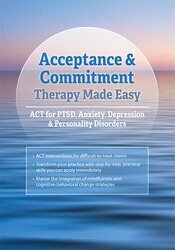 He has also been featured on The Oprah Winfrey Network, TLC, and The Discovery Channel discussing the treatment of many clinical disorders, and has published several articles and book chapters including publications with CBT pioneer Albert Ellis, and ACT pioneer Steven Hayes. Dr. Moran founded the MidAmerican Psychological Institute, a clinic in Chicagoland, and continues to supervise therapists and treat patients in that organization. His passion is for applying ACT principles in important areas outside of the clinic, such as the boardroom or construction sites. He established Pickslyde Consulting in order to bring mindfulness and value-directed commitment skills to the workplace in order to improve safety, innovation, and leadership. Dr. Moran has utilized ACT in work implementations and clinical training sites on six continents and in all 50 of the United States. Financial: Daniel Moran is the Executive Director for MidAmerican Psychological Institute. He receives a speaking honorarium from PESI, Inc.
Nonfinancial: Daniel Moran has no relevant nonfinancial relationship to disclose.